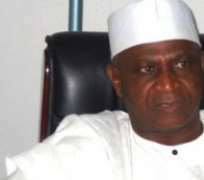 Despite the court injunction for the two factions of the Peoples Democratic Party (PDP) to maintain status quo, faction leader, Abubakar Baraje has gone ahead to raise a National Working Committee. In a statement signed by the faction's National Secretary, Olagunsoye Oyinlola, the party said that stakeholders of the party across the country at a meeting in Abuja have ratified the election of members of its National Working Committee. The NWC members according to the statement are: Alhaji Abubakar Kawu Baraje, (Chairman); Dr Sam Sam Jaja, (Deputy National Chairman); Prince Olagunsoye Oyinlola, (National Secretary); Hon. Maode Umar Hiliya (Deputy National Secretary). Others are Mr. Timi Frank (National Youth Leader); Hon Binta Koje, National woman leader; Mallam Nasir Issa (National Organising Secretary); Chief Eze Chukwuemeka Eze (National Publicity Secretary); Hon. Wadada (National Financial Secretary); Mallam Tanko Isiaku Gomna (National treasurer). The statement added that 'the positions of National Auditor and that of National Legal Adviser which are zoned to the South East and South West respectfully will be announced soon. Justice E. Chukwu of the Federal High Court, Abuja, had in a ruling on Bamanga Tukur's application for an ex parte injunction against New PDP executive, asked the parties to maintain the status quo. His judgment was a reinforcement of an earlier order of the Lagos High Court, which also asked parties to maintain the status quo. Oyinlola however did not say when and where the NWC members were elected. Also on Monday, Tukur hosted 19 state chairmen of the PDP and their Federal Capital Territory counterpart in his bid to win their support against the Baraje-led group. It was learnt that the majority of the 17 state chairmen that stayed away from the meeting attended the PDP post-convention dinner, which was held at the Presidential Villa in Abuja on Sunday night. Before the dinner, all the state chairmen had also met at the Agura Hotel, Abuja where discussions were held on the party's crisis. The chairmen that were absent from the meeting with Tukur were those of Kano, Sokoto, Kwara, Niger, Jigawa, Abia, Enugu, Ebonyi, Imo, Anambra, Taraba, Kebbi, Borno, Bauchi, Delta, Edo and Bayelsa states. In attendance were chairmen from Zamfara, Kaduna, Katsina, Oyo, Cross River, Adamawa, Yobe, Ekiti, Benue, Kogi, Akwa Ibom, Rivers, Nasarawa, Ondo, Lagos, Gombe, Ogun, Osun and Plateau states and the FCT. The Chairman of the Conference of the PDP State Chairmen, Dr. Emmanuel Agbo, confirmed to journalists that some of his colleagues who were absent from the meeting attended the post-convention dinner. He said some of the chairmen from states such as Bayelsa, Enugu, Edo and Ebonyi sent apologies that they were returning to their respective states on Monday morning. At the meeting, Tukur said it was only the PDP that could guarantee Nigeria's unity and that of the entire Africa. The National Publicity Secretary of the PDP Chief Olisa Metuh, said the election of a parallel NWC by the Baraje-led faction was a mockery of the peace process. Metuh added that it was sad that the faction decided to continue its 'rebelling behaviour' in spite of the peace process. He said, 'I think it's a mockery of the peace process. As it is now, we don't know how serious this is. It was reported that the Presidency has concluded plan to render five of the seven 'rebel' governors ineffective in their states by sacking the executives of the party in their states. The states concerned are Kwara, Kano, Jigawa, Sokoto and Niger. The decision was said to have been reached by the three strategic committees set up by Jonathan to look into the crisis in the party. Sources said that the President was of the opinion that reconciliation had failed between him, the party elders and the 'rebel' governors. The governors are Sule Lamido(Jigawa); Aliyu Wamakko (Sokoto); Rabiu Kwakwanso (Kano); Aliyu Babangida (Niger); and Abdulfatah Ahmed(Kwara). A Presidency source told journalists on Monday evening, that the expected submission of the report of the elders committtee headed by former President Olusegun Obasanjo might be a mere formality. He said, 'It is the view of the committees that we needed to use carrot and stick before and it was apparent that that has failed. 'So, what we would do now is the stick approach. The world knows that the governors are fighting us and we need not to pretend anymore that we are not together. Jonathan is, however, expected to meet with all the PDP governors in Abuja on Tuesday (today). The meeting is coming ahead of an alleged disagreement of members of the Elders Committee of the party, headed by former President Olusegun Obasanjo. The elders met with all the factions of the party in Abuja on Friday, with the aim of resolving the crisis. Apart from Obasanjo, others at the meeting were former military President Ibrahim Babangida; ex- chairmen of the PDP, Dr. Ahmadu Ali and Sen. Barnabas Gemade; as well as the Chairman, Board of Trustees, Chief Tony Anenih. Another former Chairman of the party, Chief Solomon Lar, and an ex-BoT Chairman, Dr. Alex Ekwueme, were absent at the meeting as they were said to have travelled outside the country. Two of the elders at the meeting were said to have disagreed with some of the recommendations made in their report. Meanwhile, a former Vice-President, Alhaji Atiku Abubakar, has asked the Inspector-General of Police, Abubakar Muhammed, to withdraw policemen from the secretariat of the New PDP in Abuja. Abubakar, who is currently in China leading a private economic trade mission at the invitation of the Chinese government, issued a statement declaring that the police invasion on the secretariat was borne out of intolerance. The statement reads in part, 'While it is embarrassing that the police have yet to give a reason on why they are laying siege to a political party office, the whole world knows these are acts prompted by unscrupulous politicians, who do not even have the moral conscience not to involve the police in politics. By the latest behaviour of the police , the former Vice-President said, the IG had become openly and overzealously partisan over the internal crisis of the PDP.